When it came to Italian opera, there were effectively two Handels, the composer and the impresario. The first created the work in the first place, tailored to the voices of the first cast. The second endlessly re-worked the pieces to suit the casts of each revival. The rewrites and re-workings that the operas underwent were rarely improvements, and generally performers nowadays opt for Handel's original version of the opera. The biggest exception to this rule is Radamisto where the first revision is as important as the original, but there are others notably a little known re-working of Giulio Cesare that perhaps deserves wider currency. Handel's Radamisto was premiered in April 1720 with the title role being sung soprano Margherita Durastantini (who had first worked with Handel in 1707 in Rome). But Handel may have known, or hoped, that the alto castrato Senesino was due in England later in the year. 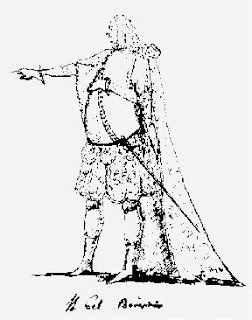 Winton Dean suggests Handel may have written music capable of being transposed down, so that in December 1720 a revised version of Radamisto was performed this time with Senesino as the (alto) hero and Margherita Durastantini as his (soprano) wife Zenobia (a contralto in April 1720). This involved creating a major new version of an opera, transposing arias up (for Zenobia) and down (for Senesino), writing new arias and improving existing ones, not to mention adding a striking quartet. Often, Handel's process of adapting operas for new casts was to bring in arias from other operas, yet here he did not do that; as with many of Handel's operas, we have no ideas of his thought process, which he created such a considered new version. Four years later, in February 1724, Handel premiered Giulio Cesare (with Margherita Durastantini playing the role of Sesto). Sesto is a youth, so having him played by a woman makes a lot of sense, but in the January 1725 revival Sesto was played by the tenor, Francesco Borosini. Borosini was a major talent, and Handel wrote him two roles, Bajazet in Tamerlano and Grimoaldo in Rodelinda. By the conventions of the day, tenors and basses were never heroes, so Handel had to be innovative; Bajazet is the heroine's father but has a major role in the drama including the famous on-stage death scene, whilst Grimoaldo is the villain of the piece. Additionally, for Borosini Handel completely re-wrote the part of Sesto in Giulio Cesare, no-long a youth but a man of action. Handel's process of creating a tenor version of Sesto gives us an interesting insight into his attitude to octave transposition of roles; though he transposed Sesto's recitative down an octave and he retained only two of Sesto's arias, removing the others as well as the duet with Cornelia. He compensated with three new arias, Winton Dean describes them as extended forceful pieces with virile coloratura. The arias transform the character of Sesto from an excitable boy into a mature and confident man of action, which is of course a dramatic weakness given Sesto's failure to actually act on his impulse to kill Tolomeo. This re-casting of Sesto as a tenor is intriguing, especially with the three new arias which seem to be worth performing. I do rather keep hoping that some enterprising company will do just that.